How about choosing one of our pre-made bundles? Based on our most popular orders, we can also offer these gorgeous pre-chosen bundle boxes. 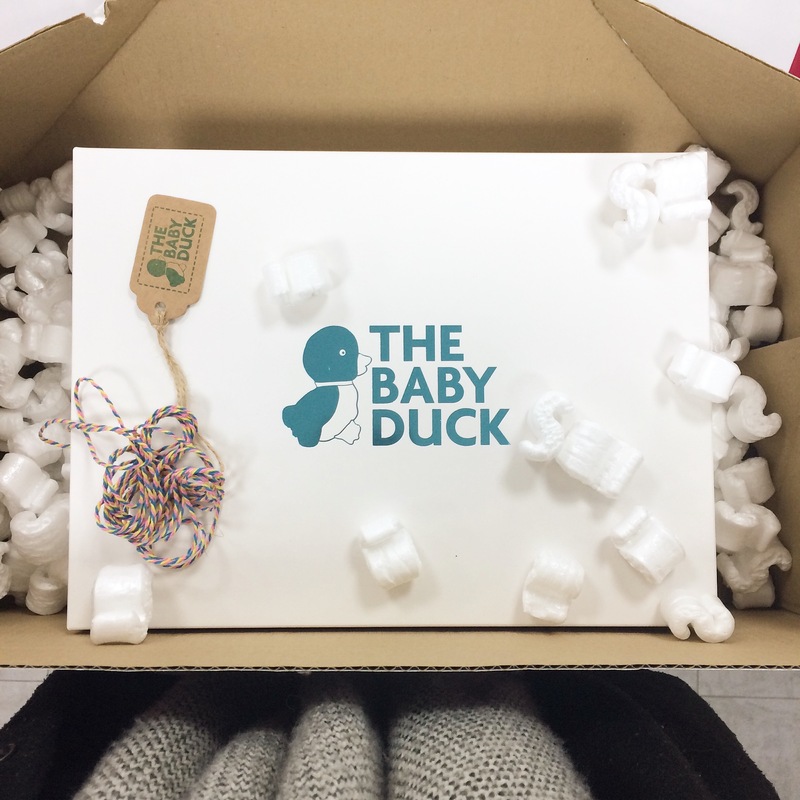 Choose from boxes specifically curated for new mamas, including baby-friendly jewellery and a super useful tote. 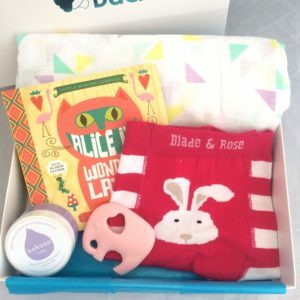 Or pick one of our baby focused boxes – including all the new baby essentials; muslin swaddles, beautifully illustrated books, gorgeous natural skin care and teething toys. If you’re looking for a gift just for a new Mama, this gift box is a perfect treat. Full of useful and baby friendly goodies. No need to worry about babies grabbing your delicate jewellery, these chunky jersey crocheted necklaces mean mama’s can add a pop of colour, keep babies occupied as they learn to touch and hold, and all necklaces feature two silicone teethers, for when those teething days kick in. Perfect bangles allowing mama’s to accessorise, whilst offering teething babies comfort. Can also be popped in the fridge to keep gums cool. And super easy to clean too. 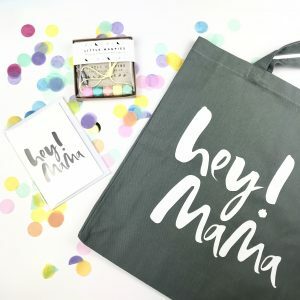 If you’re looking for a gift just for a new Mama, this gift box is a perfect treat. Full of useful and baby friendly goodies, the bigger bundle includes an extra teething bangle AND a lovely big pot of Kokoso Baby Oil. a totally natural multi-tasking wonder oil. Great for babies, but also excellent for new mama’s; use as a hair mask, or massage oil, it’s a fab make up remover and will naturally and organically moisturise pre or post pregnancy dry skin. All that, and it’s perfect to use on the babes too. 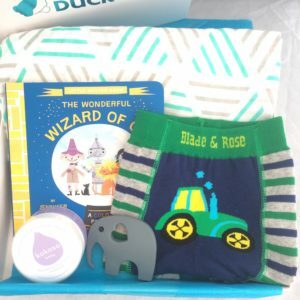 If you’re looking for a gift just for a new mama and baby, this gift box is a perfect treat; full of useful, stylish and baby friendly goodies. Beautifully wrapped in one of our foil finish gift boxes. Please choose your teether colour and make a note of these at checkout. 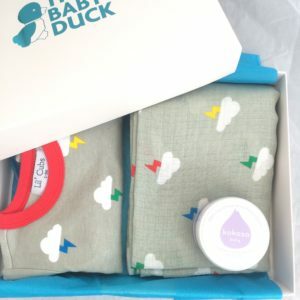 If you’re looking for a gift just for a new mama and baby, this gift box is packed full of practical, fun and stylish gifts; from a huge muslin swaddle to perfect bedtime essentials. A perfect treat for a new baby and his mama. A perfect treat for a new baby and her mama.